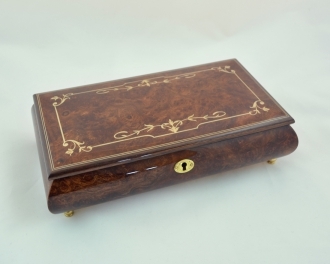 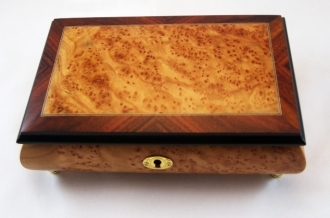 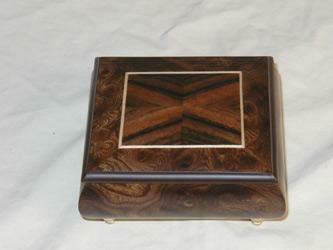 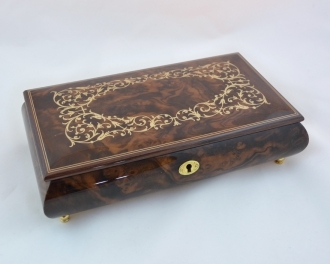 Bird's Eye Maple perfectly sized, rectangular shaped matte finish perfectly hand made in Italy music box. 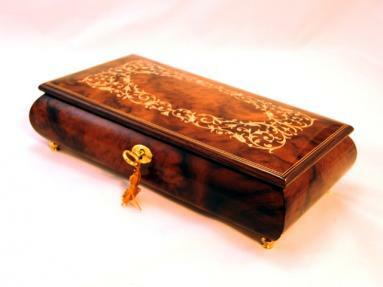 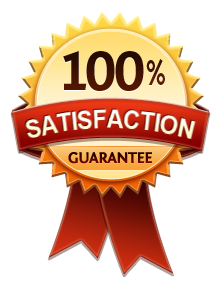 Only the most skillful woodcraft masters artists can perform a design so classical but yet sophisticated. 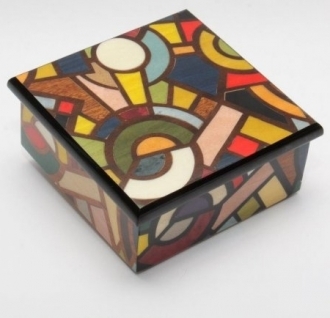 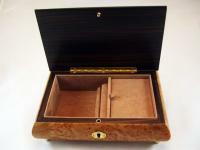 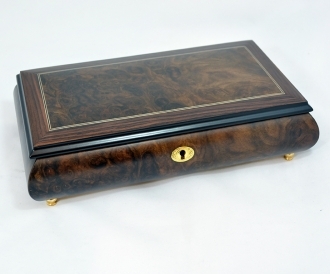 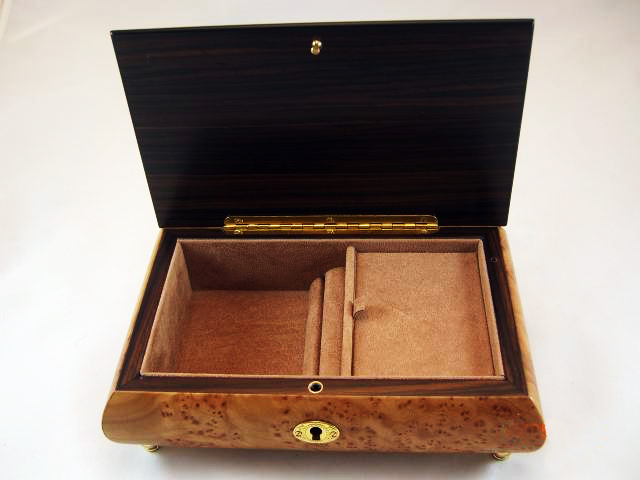 Has jewelry compartment with ring/earring holder and is lined with soft and outstanding matching color velvet.